We are a travelling Two Piece. Our sound has been shaped by years on the road - living by busking and performing across Canada, New Zealand and Europe. Our instrumentation includes, guitar, mandolin and washboard, occasional banjo, spoons and kazoo, with all of our passion poured in to our harmonies. To us, music is communication, it is more than genre, sound, and performance, it's also about the personal connections we make with those we share our music with. 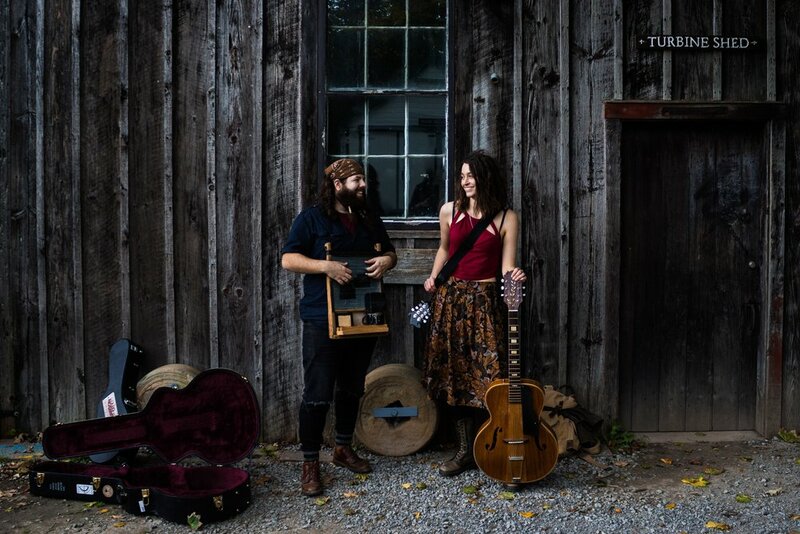 Influenced by the heart and storytelling of old-time folk, and the rawness of blues, we are somewhere between traditional and rule bending. The duo met by chance in New Zealand, 2014. Within days they embarked on a musical journey, allowing their individual sounds to grow together as they travelled. Driven by this growth (and not stumped by their lack of funds!) they ‘home’-recorded their first EP, Elkonomic Develephant (England, 2015) using what they had, when they could. Between taking time out to record their latest album, "No Time Forever", and a brief jaunt back to Canada for a Fall tour, Uphill and Still will be back on the road in the UK this spring, so follow your ears, quit your jobs and bring your spoons!